Un-mask stunning skin! Experience the latest multi-masking trend with Pevonia's New Radiance Mask Collection featuring micro-emulsified technology for deepest absorption and optimum de-aging, purifying, and brightening benefits! Instant results! De-aging and youth-recovery, reduce visible pores and mattify, and detoxify and purify. Use each mask on different areas of your face depending on your specific needs! Those who are interested in reinvigorating their overall complexion by treating signs of aging. Cleanse the skin with your favorite Pevonia cleanser & lotion/toner. Next, apply a thin layer of the mask onto the face & neck. Leave on for 15 minutes. Remove with cool water. Finish with a mist of Pevonia lotion/toner. Save up to 67% with Pevonia Vintage Holiday Gift Sets! 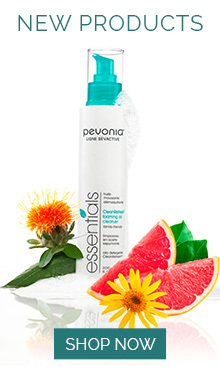 No One Steals My Pevonia®! Unlock treasured skin this holiday season with Pevonia's Collection of gift-ready holiday sets including award-winning bestsellers selected for performance excellence. Featuring a stunning keepsake vintage case with lock and key, this collection of skincare treasures is sure to delight everyone on your list!